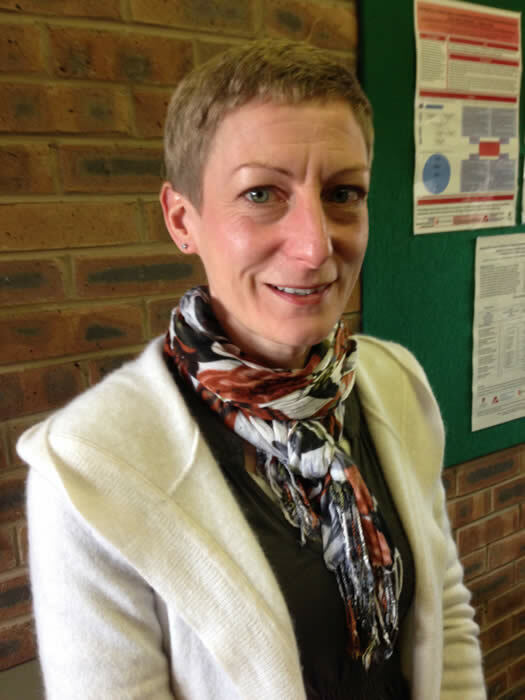 Ruth has extensive experience in the methodology and conduct of systematic reviews. Over the last 15 years she has been actively involved in a number of systematic reviews utilising various approaches and methods to evaluate a wide range of therapeutic indications and interventions. She has undertaken synthesis of both qualitative and quantitative data as part of systematic reviews funded by the National Institute for Health Research (NIHR), Health Technology Assessment (HTA) programme, Cancer Research UK, DoH (England) and the Welsh Government. She has also conducted evidence reviews to underpin National Institute for Health and Care Excellence (NICE) Cancer guidelines. Her main research interest includes the use of different methods for evidence synthesis to inform clinical and policy decision making. Her most recently completed HTA included network meta-analyses using Bayesian methods. She is currently working on developing methods to evaluate sequential treatments as part of an NIHR doctoral fellowship. She has over 40 publications with 35 in peer reviewed journals, and has contributed to over £1M in grant capture. She is an honorary senior research Fellow with Cardiff University. Simpson SA, Lewis R, van der Voort J, Butler CC. Oral or topical nasal steroids for hearing loss associated with otitis media with effusion in children. Cochrane Database of Systematic Reviews 2011, Issue 5. Art. No. : CD001935. DOI: 10.1002/14651858.CD001935.pub3. Lewis R, Neal RD, Williams NH, France B, Hendry M, Russell D, Hughes DA, Russell I, Stuart NSA Weller D, Wilkinson C. Follow-up of cancer in primary care versus secondary care: systematic review. British Journal of General Practice. 2009; 59(564): 525-532. Lewis R, Neal RD, Hendry M, France B, Williams NH, Russell D, Hughes DA, Russell I, Stuart NSA, Weller D, Wilkinson C. Patients' and healthcare professionals' views of cancer care follow-up: A systematic review. British Journal of General Practice, 2009; 59(564): 533-540. Komossa K, Rummel-Kluge C, Hunger H, Schwarz S, Schmid F, Lewis R, Kissling W, Leucht S. Sertindole versus other atypical antipsychotics for schizophrenia. Cochrane Database of Systematic Reviews 2009, Issue 2. Art. No. : CD006752. DOI: 10.1002/14651858.CD006752.pub2. Williams NH, Hendry MA, France B, Lewis R, Wilkinson C. Effectiveness of exercise-referral schemes to promote physical activity in adults: systematic review. British Journal of General Practice 2007; 57, 979-986. Williams NH, Hendry MA, Lewis R, Russell I, Westmoreland A, Wilkinson C. Psychological Response In Spinal Manipulation (PRISM): a systematic review of psychological outcomes in randomised controlled trials. Complementary Therapies in Medicine 2007; 15, 271-283. Thomas CL, Simpson SA, Butler CC, van der Voort J, Lewis R. Oral or topical nasal steroids for hearing loss associated with otitis media with effusion in children. Cochrane Database of Systematic Reviews 2006, Issue 3. Art. No. : CD001935. DOI: 10.1002/14651858.CD001935.pub2. Collins R, Lewis R, Flynn A, Dean ME, Myers L, Wilson P, Eastwood A. Viewpoint: Improving the reporting of clinical audits in the NHS. Clinical Governance. 2005;10:190-195. Lewis R, Collins R, Flynn A, Dean ME, Myers L, Wilson P, Eastwood A. Effectiveness bulletin: A systematic review of cancer waiting time audits. Quality and Safety in Health Care 2005; 14: 62-66. Lewis R, Bagnall A-M, Leitner M. Sertindole for schizophrenia. The Cochrane Database of Systematic Reviews 2005, Issue 3. Art. No. : CD001715. DOI: 10.1002/14651858.CD001715.pub2. Lewis R, Flynn A, Dean ME, Melville A, Eastwood A, Booth A. Management of Colorectal Cancer. Quality and Safety in Health Care 2004; 13(5): 400-404. Booth A, Lewis R, Flynn A, Emmans Dean M, Eastwood A. The management of colorectal cancers. Synergy 2004 Sept;6-9. Bagnall A-M, Jones L, Ginnelly L, Lewis R, Glanville J, Gilbody S, Davies L, Torgerson D, Kleijnen J. A systematic review of atypical antipsychotic drugs in schizophrenia. Health Technology Assessment 2003; 7(13). Lewis R, Bagnall A-B, Forbes C, Shirran L, Duffy S, Kleijnen J, Riemsma R, ter Riet G. The clinical effectiveness of trastuzumab for breast cancer: a systematic review. Health Technology Assessment 2002; 6(13). Lewis R, Bagnall A-B, King S, Woolacott N, Forbes C, Shirran L, Duffy S, Kleijnen J, ter Riet G, Riemsma R. The clinical effectiveness and cost-effectiveness of vinorelbine for breast cancer: a systematic review and economic evaluation. Health Technology Assessment 2002; 6(14). Lewis R, Whiting P, ter Riet G, O’Meara S, Glanville J. A rapid and systematic review of the clinical effectiveness and cost-effectiveness of debriding agents in treating surgical wounds healing by secondary intention. Health Technology Assessment 2001; 5(14). Jepson R, Forbes C, Sowden A, Lewis R. Increasing informed uptake and non-uptake of screening: evidence from a systematic review. Health Expectations 2001; 4(2): 116-130. Adams C, Wilson P, Gilbody S, Bagnall A-M, Lewis R. Drug treatments for schizophrenia. Quality in Health Care 2000; 9: 73-79. Bagnall A-M, Fenton M, Lewis RA, Leitner M, Kleijnen J. Ziprasidone for schizophrenia and severe mental illness. The Cochrane Database of Systematic Reviews 2000, Issue 4. Art. No. : CD001945. DOI: 10.1002/14651858.CD001945. Bagnall A-M, Lewis RA, Leitner M, Kleijnen J. Molindone for schizophrenia and severe mental illness. The Cochrane Database of Systematic Reviews 2000, Issue 2. Art. No. : CD002083. DOI: 10.1002/14651858.CD002083. Curell R, Urquhart C, Wainright P, Lewis R. Telemedicine versus face to face patient care: effects on professional practice and health care outcomes. The Cochrane Database of Systematic Reviews 2000, Issue 2. Art. No. : CD002098. DOI: 10.1002/14651858.CD002098. Jepson R, Clegg A, Forbes C, Lewis R, Sowden A, Kleijen J. The determinants of screening uptake and interventions for increasing uptake: a systematic review. Health Technology Assessment 2000; 4 (14). Lewis RA, Urquhart CJ, Rolinson J. Health professionals’ attitudes towards evidence-based medicine and the role of the information professional in exploitation of the research evidence. Journal of Information Science, 1998; 24 (5): 289-290.